Get the best of both the Mac and PC worlds with VMware Fusion. With an intuitive Mac-native interface and a wide array of powerful features, VMware Fusion provides the most seamless way to run Windows applications on your Mac. Seamlessly run Windows applications alongside Mac applications with the Unity features in VMware Fusion. 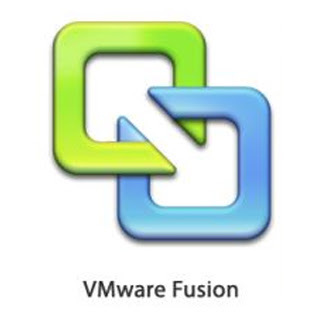 Find and launch Windows applications quickly with the VMware Fusion launcher. Switch between Windows and Mac applications quickly with Exposé. Minimize Windows applications to the Mac OS X Dock. Play Windows games on your Mac. Create powerful multi-core virtual machines and run 32- and 64-bit operating systems with ease. Use your iSight camera in Windows and gain access to Windows-only USB 2.0 devices. VMware Fusion makes it easy to install Windows as a virtual machine on your Intel-based Mac, and makes a perfect complement to Apple Boot Camp. Use your existing Boot Camp partition as a virtual machine, or use the built-in Windows Easy Install to install a fresh copy of Windows on a new virtual machine. Use Snapshots to save the state of your virtual machine, and revert back to that state if your PC crashes or becomes corrupted.